An ecommerce system is software used to power an online shop. Software, such as PrestaShop ecommerce, connects to a database where all your shop’s information is stored, includes a administrative ‘back office’ where you can manage your catalogue, and a ‘front end’ where your customers can buy your products. Systems such as PrestaShop ecommerce are packed with all the features that your shop will need such as a user account area, product listings, product pages, promotional pages, content pages, check out. An ecommerce site is, therefore, a website and when you build and ecommerce site, the 6 principles of building of a website are applicable. As an ecommerce site has greater complexity there are additional considerations when undertaking a project of this type. The first step in how to build PrestaShop ecommerce is to secure a domain and hosting. You’ll need hosting with a dedicated IP address and an SSL certificate. An SSL certificate ensures a secure connection for transmitting personal and payment details of your customers. Once you have hosting for your domain, you can configure your email accounts and create the databases that you’ll use with your PrestaShop ecommerce. At this point you are ready to install your software and configure your PrestaShop ecommerce. We recommend creating duplicate installations; a ‘sandbox’ installation for testing and a ‘production’ installation for ‘real’ selling. 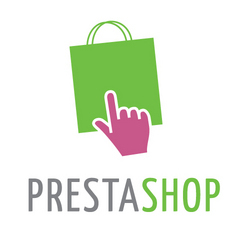 Learn how to install PrestaShop. Your catalogue – the products, product descriptions, product URLs, product meta data, product images and so on – represent the bulk of your shop’s content. Therefore, your catalogue is central to your shop’s SEO (search engine optimisation). The most efficient and powerful way to manage this content is through PrestaShop’s import functionality. In this way you can upload a CSV file with your shop’s catalogue data. While there is as much art as science to the successful creation of PrestaShop CSVs, we highly recommend their use. Learn how to use PrestaShop CVS imports. The look and feel of your PrestaShop ecommerce is controlled by a series of PHP/HTML/CSS template files, also called a ‘theme’. your theme can be customised to your exact specifications to build a bespoke PrestaShop ecommerce. The design process involves a several steps and aims to produce a theme which encapsulates and communicates your brand. Learn how to design a PrestaShop theme. A successful online shop is the result of a convergence of many inter-related and inter-dependent factors and by following a methodical, detail-oriented and iterative path of software development you will end up with a beautiful, functional and profitable online portal for your retail business. Need some help? We build PrestaShop ecommerce solutions. Get in touch with us today to discuss taking your shop online!